Winch bumper, winch plate and hardware. • Fits 84-01 Jeep XJ Cherokee models ONLY. 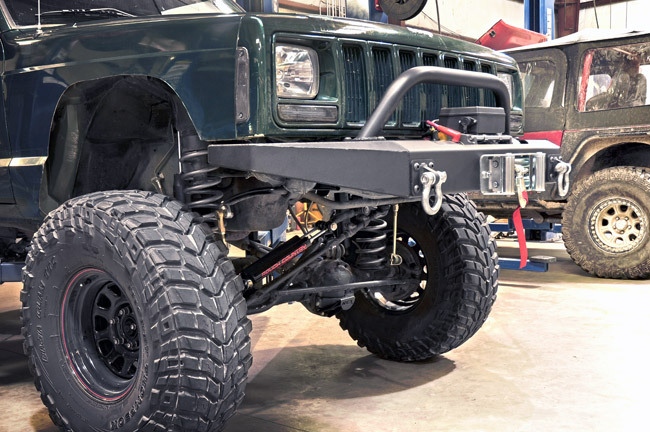 This high-tensile steel bumper gives Jeep XJ's a menacing look while providing more tire clearance and better approach angles for flexing. 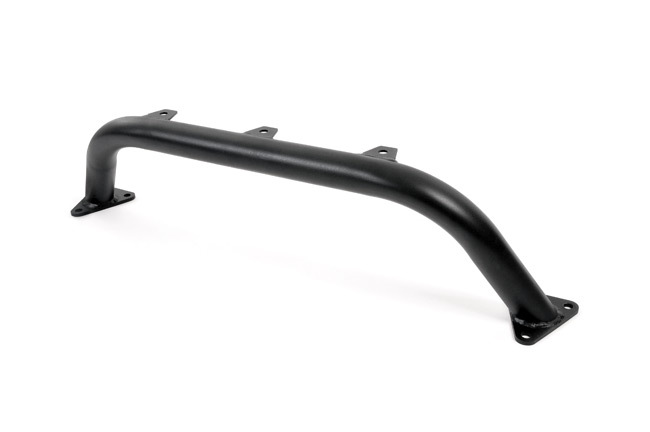 With it's durable carbon black coating, this stubby bumper will turn heads on and off the highway. 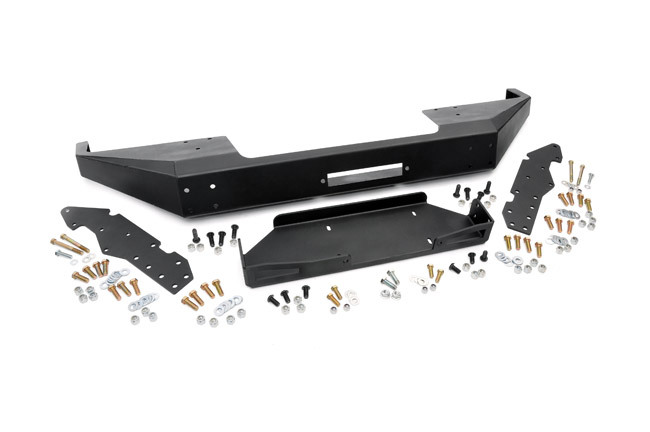 A recessed winch mount plate helps protect your winch and line as it rests partially hidden behind the bumper, and allows you to mount the winch fairlead on the outside for ease of use. 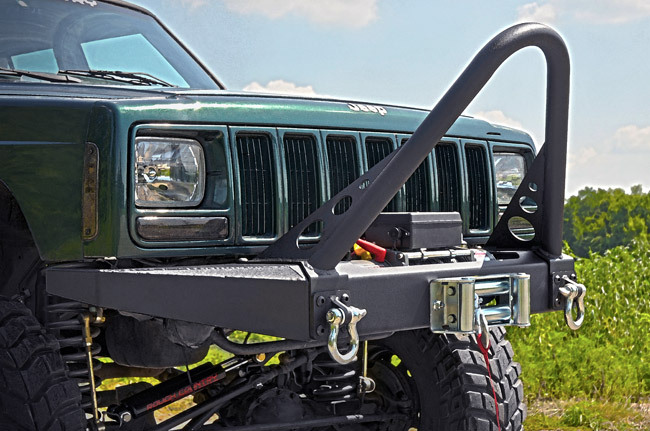 Upgrade your XJ Front Bumper with some eye-catching upgrades such as an optional light bar with mounting brackets, or heavy-duty Stinger for a high-profile look. 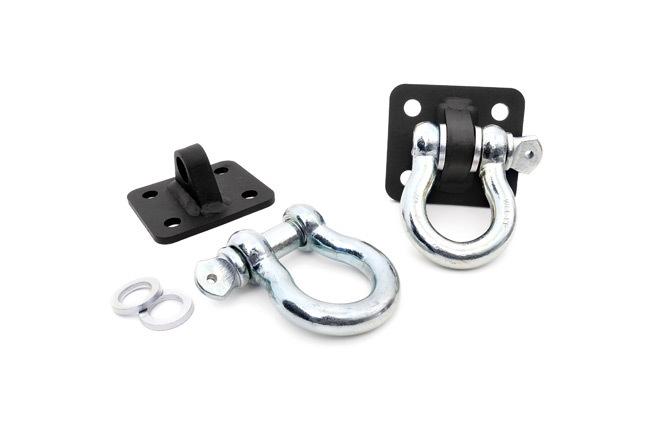 A mountable set of D-rings is also available and can be used with either accessory. The Light bar is built from 120 wall, 2" thick steel and features a durable carbon black textured powdercoat. Offer 3 mounts for aftermarket lighting. Compatible with the D-Ring mount kit. It cannot be used with the Stinger bar. 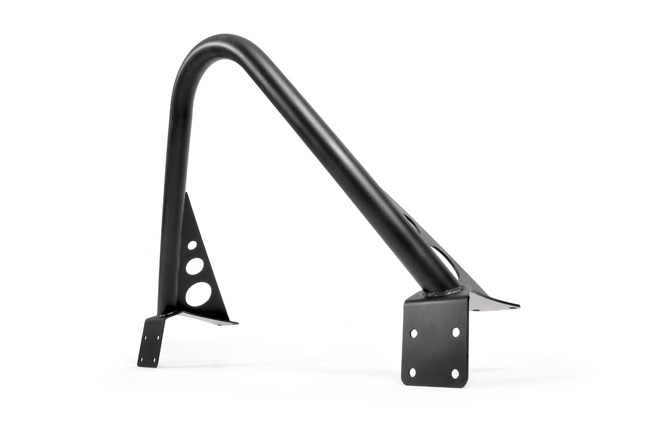 Simple, bolt-on design adds a strong and durable winch point to the front of our XJ winch bumper. D-rings are forged and include Grade 8 hardware. A must have for any off-roader. Compatible with both the Stinger bar and Light bar options.